Flashback=> John Lewis on US Presidency: "I've Always Said If You Don't Respect the Man, Respect the Position"
Rep. John Lewis (D-GA) told NBC last weekend he will skip the Trump Inauguration. Activist and author Mike Cernovich found this jewel from Rep. John Lewis. 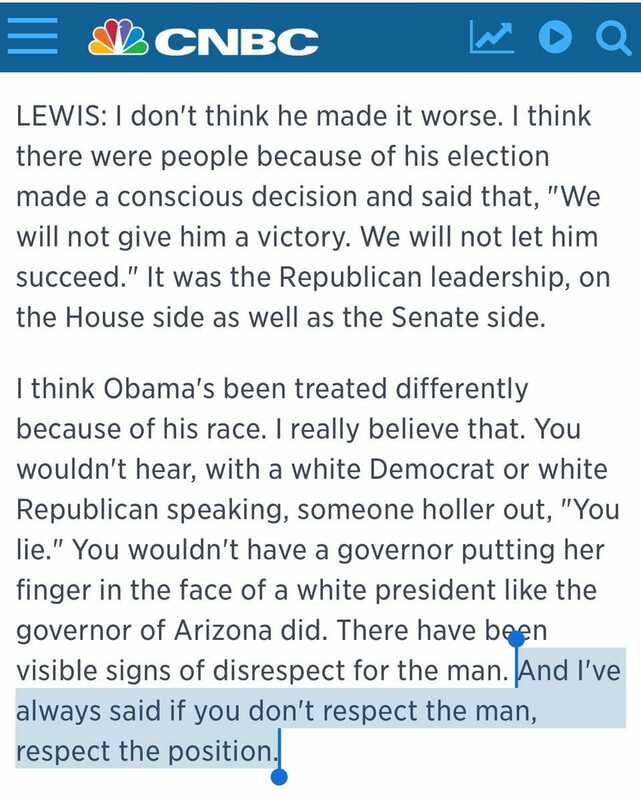 This week he Lewis announced he is boycotting another Republican inauguration.